Good afternoon everyone! I hope you are all having a pleasant Monday! Today I have decided to add something else new to the blog by having what I call the Monday Blues. Each Monday I will pull a lovely blue lacquer out of my collection, and lord knows I love my blues so there are a lot, to share with you guys. 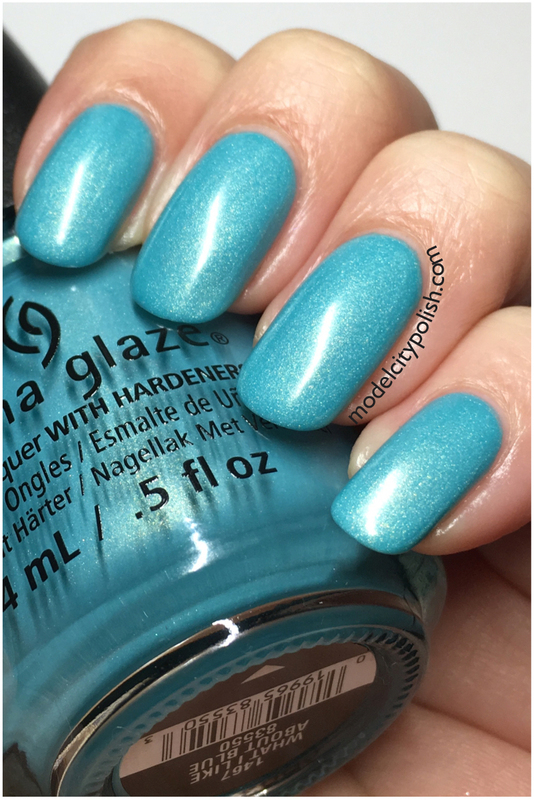 To kick things off I would like to share a recent purchase by China Glaze. What I Like About Blue is part of the new Lite Brites Collection and while I want them all, I knew blue would be the best place to start. 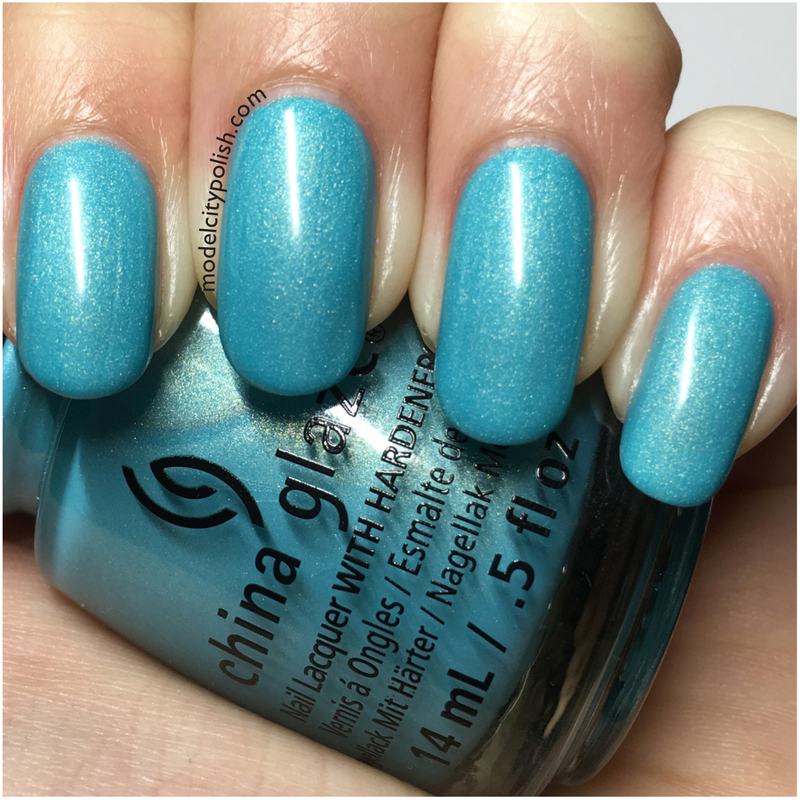 This is a stunning aqua creme filled with a silver micro shimmer. 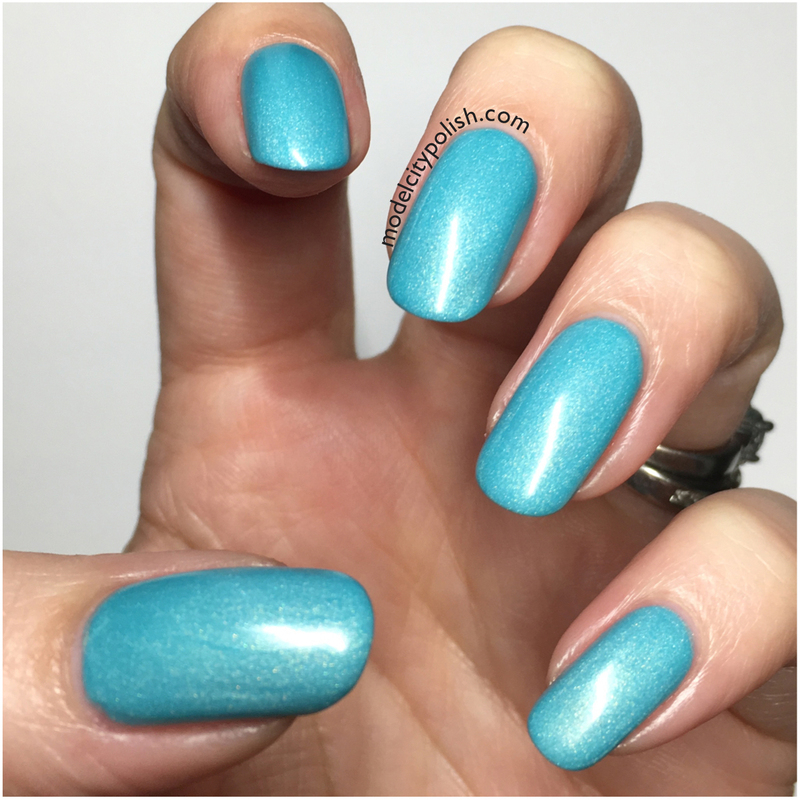 This formula is fairly thick and heavily pigmented so depending on nail length and application, you could possible get away with just one coat. Everything leveled out nicely and I had zero streakage. What I Like About Blue also dries to this stunning satin like finish that I just love. In my photos I am wearing just two coats of What I Like About Blue with its natural finish. What a pretty color! Love that shimmer. The shimmer with the satin like finish….AMAZING!!!! Gorgeous swatch and polish! I’m really liking the latest China Glaze collection! This is exactly the type of blue that I love. A very pretty, vibrant shade for Summer. This makes me think of beach holidays. It is perfect for beach or snowy mountains!!! I really need to grab more from the collection. I love it & need it! As a blue addict I know for sure I’m going to love your Mondays! And this CG is definitely reaching my drawers. 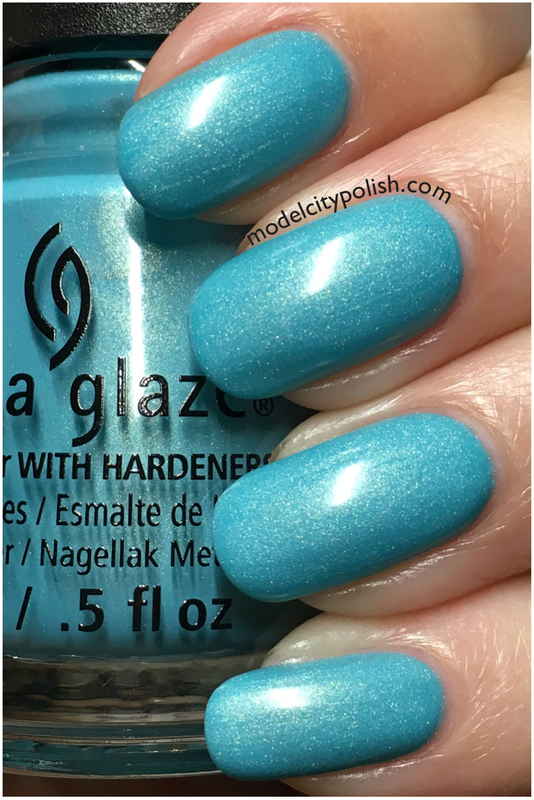 this is a perfect blue for spring!